Our organization began several years ago when we realized that even though there were numerous animal rescue groups in our area, none of them were ever available to assist when we either found an animal in distress or a colony of feral cats. A small group of us began our own program of trapping, neutering/spaying, and paying for medical care. Our only funds came from either garage sales or out of our own pockets. As the need increased, we were no longer able to provide the care needed. In August of 1999, a kind man approached us and volunteered his services to incorporate us. A few months later we became known as Feline Rescue Inc.
Our mission remains the same: to reduce the overpopulation of cats in our community by following the guidelines of TNR. We trap, neuter and then return cats back to their colonies where they are fed and monitored daily. We attempt to remove all adoptable cats from the feral population and find them loving, pre-screened homes. Every cat we trap and bring in is tested for Feline Leukemia and Feline Aids, given all of their shots, treated for any medical condition they might have and, of course, spayed and neutered. All cats are rehabilitated in large dog crates until they are ready for release. Cats are not released back to their colonies until we are absolutely sure they are ready to resume their lives as normal. Another aspect of our mission is to provide information to the public on the importance of fixing their animals and to provide information on trapping and low-cost spay/neuter programs. As we are not a shelter, we cannot accept cats from the public. Since kittens have the best chance to find a forever home, we do occassionally have kittens for adoption. Rather than attempting the impossible task of saving thousands of unwanted cats each year, Feline Rescue focuses on the root of the problem – more kittens are born each year than there will ever be homes for. By spaying and neutering as many stray and feral cats as possible, we are proactively controlling overpopulation at its source. One day, when the supply meets the demand, there will be a home waiting for every kitten in our community. Our future goals are to eventually to have a cat sanctuary where homeless, abused, and unwanted cats can live out the rest of their life, healthy and happy. We have a limited amount of volunteers that do the best they can and we are hoping to expand our efforts and perhaps join another organization that will be able to help us reach our final mission. New! 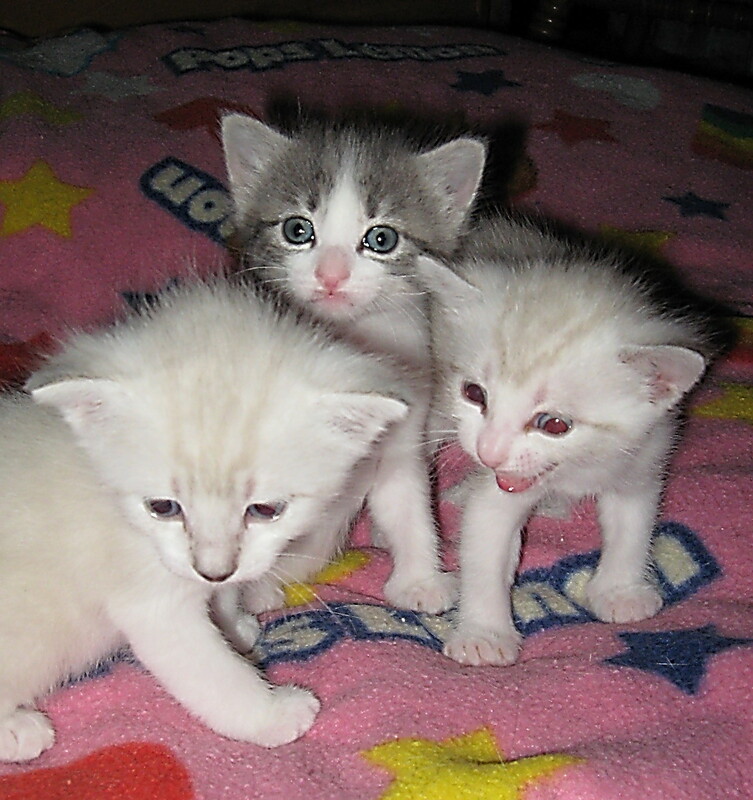 Now you can see our Adoptable Kitties that are listed with Petfinder right here on our website. Please click Adoptable Kitties to see who needs a forever home. You can help us every time you shop online! Through Network for Good or iGive, you can make a donation to us. You can also make a donation with your Visa or Mastercard using Paypal by clikcing the "Donate" button. Please click on an icon below to join them and help us. Feline Rescue is proud to be a Partner for Pets! BISSELL and LostPetUSA.net have teamed up to help organizations like ours raise money, and now you can help too! When you purchase pet products on bissell.com and enter the code ADOPT at checkout, a portion of your purchase will be donated to our organization! Each purchase helps us qualify for giveaways! When you buy selected pet products on bissell.com, Bissell will donate 10% of your purchase to us. Enter the code ADOPT and select our organization, FELINE RESCUE, during checkout.